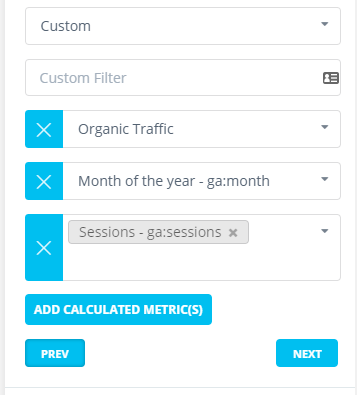 To show visits from all channels in Reportz, you'll need to create separate widgets for each segment. First step is to select Custom widget (last widget in dropdown add widget menu) then customize it as you desire. 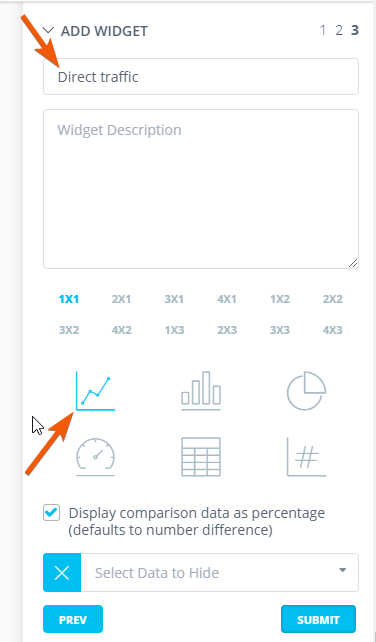 For each widget you can select Chart style and rename widget from Custom.